One of the most popular projects in the late 80's and early 90's, a large following in Central Europe with epicenter that south of Bavaria full of turmoil and rock spirit, a deadly sound and so much quality. These were Wolfen who, as often happens in this world, lost themselves at the peak of their success among the tortuous roads of life. 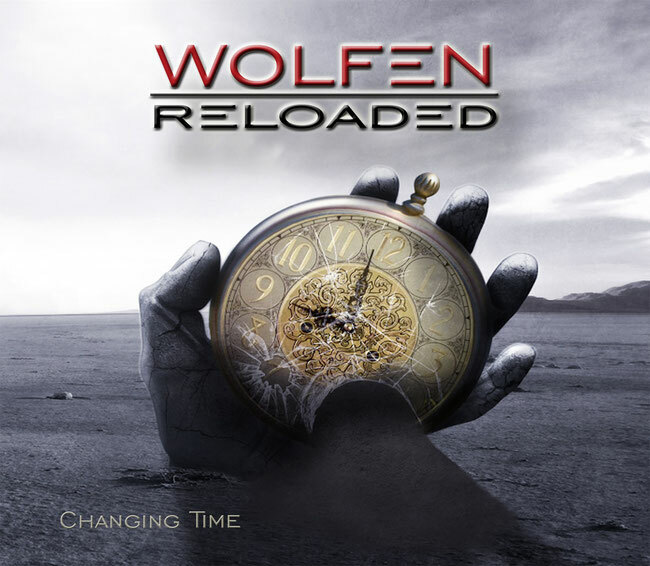 When a few years ago, frontman Christian Freimoser resumed the band with the renewed name of Wolfen Reloaded, he did not know if that perfect machine would be back to work. But good blood does not lie and Wolfen, in the Reloaded version, soon returned to grind kilometers and stages of half of Europe thanks to the support of friends of the caliber of Operation: Mindcrime, Thunder and Bonfire who wanted these sailed Bavarian rockers by their side in tour. After this platform 2.0, the Wolfen Reloaded are now ready to release a new album that will be released by our Volcano Records and distributed worldwide by The Orchard and for the German market by the powerful Nova Distribution. The new album presented as a mix of influences from Queensryche to King`s X, from Dokken to Van Halen, will be called "Changing Time" and will be available starting June 22nd.